I already raved about how EXCELLENT Cantu Shea Butter Creamy Hair Lotion is; it's one of those rare multi-purpose hair products that works for all the women in our household (and all 4 of us have different hair textures). 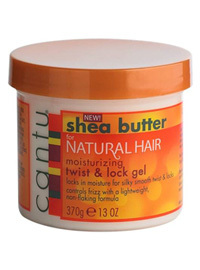 There is an entire line of Shea Butter products for natural hair from Cantu. Here's a peek at what they have to offer. 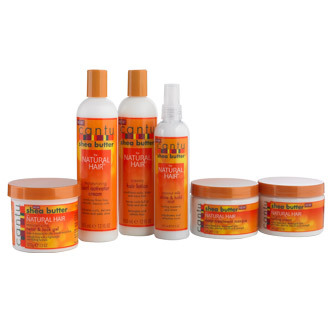 Cantu offers a complete range of new hair care products all with natural Shea butter that penetrates deep into the hair and scalp to moisturize, prevent breakage and smooth the texture and appearance of dry, coarse or chemically processed hair. 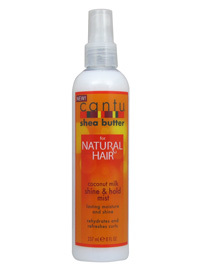 Cantu ultra-rich Shea butter products nourish hair to look and feel richer, shinier and healthier. Cantu Shea Butter Moisturizing Twist & Lock Gel for Natural Hair will moisturize, de-frizz and add manageability to your twists and locks, leaving them soft and shiny. 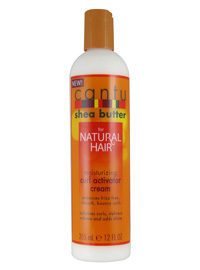 Cantu Shea Butter Moisturizing Curl Activator Cream for Natural Hair will define, moisturize and restore your curls, leaving them smooth, frizz free and full of life. 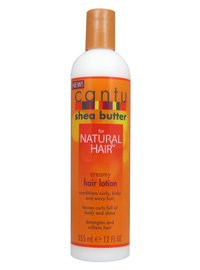 Cantu Shea Butter Creamy Hair Lotion for Natural Hair will soften, moisturize and detangle your curls, leaving them light, shiny and bouncy. Made with 100% pure shea butter and formulated for natural hair without chemicals or harsh ingredients. No mineral oil, sulfates, parabens, silicone, phthalates, gluten, paraffin, propylene glycol, PABA or DEA. This finished product is not tested on animals. Cantu Shea Butter Coconut Milk Shine & Hold Mist Natural Hair will rehydrate and refresh your curls leaving them frizz free and full of shine. 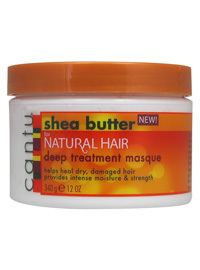 Cantu Shea Butter Deep Treatment Masque for Natural Hair penetrates deep into the hair shaft to help moisturize and repair damaged, dry and brittle hair. 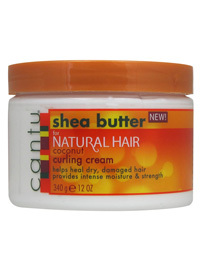 Cantu Shea Butter Coconut Curling Cream for Natural Hair will define, condition and add manageability to your curls, leaving them soft, shiny and deeply moisturized. I'm using the Curl activator cream since I don't use gels and can't use curling creams as they tend to be heavy for my hair type. I really like the activator since it's not heavy. I will be trying the lotion soon as well as soon as I can find it. The activator was 4.97 at my local Wal-Mart, the prices are good.